This podcast is packed with excellent interviews, funny content and it's all presented by a great team of down to earth guys. If all podcasts were this good we would have no need for conventional media. Are you are interested in Open Source, or Linux? Then this is the show for you. Excellent interviews, and discussions that are packed with information about the community. If anyone tells you there is a better Linux or Open Source podcast out there just say "Beard". 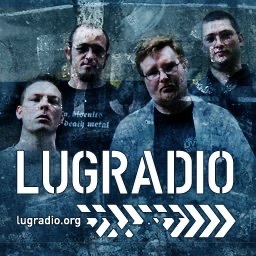 Lug Radio is the best linux podcast out there. If you haven't heard this yet you're missing a whole world of excellent interviews, relevant discussion, and humour. Plenty of GNU/Linux content FLOSS, FOSS and current technical topics. You'll love this show.